Each head can spit an extremely powerful water projectile that can travel a surprisingly long distance from it and is not affected by gravity. The range on these projectiles is so great that the Hydra often begins spitting them before the player can even see it clearly. The player should utilize all available cover when working their way up towards the Hydra, as the projectiles are numerous and very difficult to roll through. At close range, each head will perform a quick melee type attack against the player. Your main goals is to get in close to the Hydra and position yourself a bit into the water in the large lake that contains him. This will cause the Hydra to switch primarily to its less dangerous physical attacks. Be careful, however, as the safe zone inside the lake is quite small and there is a drop-off zone inside of it that you can fall into for an instant death. Once close, just keep up your shield - the Hydra's attacks are fairly weak and with a good shield like the Heater Shield you should deflect all damage. After each attack, simply locate one of it's heads and hack away. Rinse and repeat until the Hydra is defeated. Range attack: There's a spot around the middle of the lake's edge where none of the Hydra's heads will attack. Find that spot and you can shoot with arrows or use sorcery. You won't even need a shield to block at all. The spells must hit a neck, a head or even the stomp where a neck used to be, because the body itself is not vulnerable at all. A good crossbow, such as the Heavy Crossbow located in the Depths, can be very effective once the player reaches the edge of the lake. A crossbow enables the player to still block with a shield between shots, and the Hydra can be target locked from quite a distance. Simply block the Hydra's bite attacks with a shield, and then fire crossbow bolts at its main body. Often the Hydra's heads or necks will interfere with the shot, resulting in even greater damage due to the close range. The water projectiles should be avoided at all costs. They do heavy damage and can travel a surprising distance. Try to stick around the trees in the level and keep moving, as they'll sometimes block the projectiles. You can also use the Crystal Golem Guards as shields, as they can be killed by the water projectiles. You will have to contend with the Crystal Golems first. They have strong attacks but move slowly. Use your shield and avoid their area of effect attack. A ranged weapon such as a shortbow or crossbow can also be used to draw the Golems out one at a time without triggering many Hydra projectile attacks. 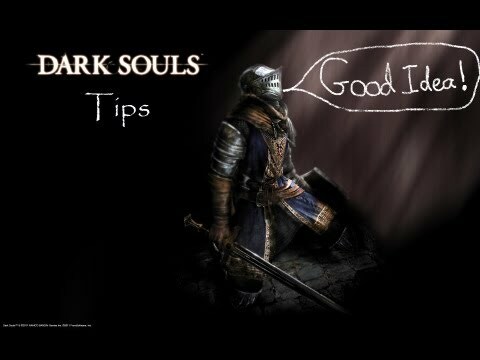 Bring as many Estus flasks as possible, ideally at least 10, and try to upgrade your flask to at least +3 prior to the battle. 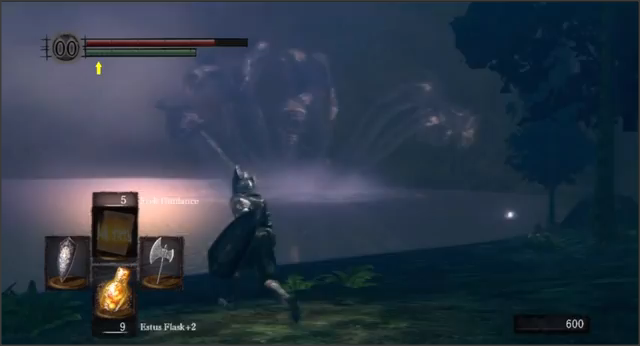 You may have to heal repeatedly before you can even get to the shoreline thanks to the incoming water blasts, and may only have time for a single flask between the Hydra's projectile attacks. Thus your Estus flask should be strong enough to keep you alive if you get hit by multiple projecticles and have little time to heal. Try approaching from the left (the opposite side of Havel's Watchtower). You can get fairly close to the lake while the cliffs protect you well from the water blasts. Once you're close enough that you have to be exposed dash towards Hydra, because the downward slope of the shore will cause it to shoot its projectiles over your head. Get into melee range ASAP for an easy fight. Obtaining the Rusted Iron Ring can lessen the difficulty of the fight as it allows you to walk through waterwithout speed reduction. Tip: While melee attacking the heads after they strike the ground, move beside them and do not stand under/behind them (i.e., between the head where it has impacted the ground, and the main body of the hydra). As the head withdraws for another strike, it can drag you backwards towards the Hydra and there is a significant risk you will then fall into the drop-off zone in the water and instantly die.